I’ve noticed that on probably 90% of the blogs I read, there are ads on their sidebars. So, I know these bloggers want to make money from their blogs. Maybe they are earning a little bit of change from these ads, or maybe they are earning decent money. But, if you are like me, you want to turn all your hard work writing into a living-not just coffee money. If you’ve tried earning money with ads and you would like to find a way to earn more, try a more reliable way to turn your blogging into cash. Use your blog as a way to get paid blogging gigs (and not measly $5 paid posts) from businesses and online magazines. 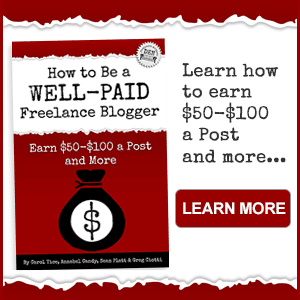 How to Be a Well-Paid Freelance Blogger is an e-book written by Carol Tice, an experienced freelance writer that will explain exactly how to turn your blog into a referral tool that brings you high-paying posts from businesses. This is an super-affordable e-book version of her 4-week Freelance Writers Den bootcamp that originally costs $197 for nonmembers. You can get all the tips those members got in over five hours of instruction, in one handy e-book form without paying the course cost. That’s why I purchased it! Carol got together with three other blogging experts — Sean Platt, Annabel Candy, and Greg Ciotti — and they all shared all shared their best tips on paid blogging. When they got together all the key points, it turned into a 140-page bible for how to get good-paying blogging gigs. I’m talking about regular, ongoing blogging gigs at $100 a post-even $150 or more! If that doesn’t convince you, the e-book includes a 20-page Action Plan workbook for taking the points covered in the e-book and putting them into action with your own blog! 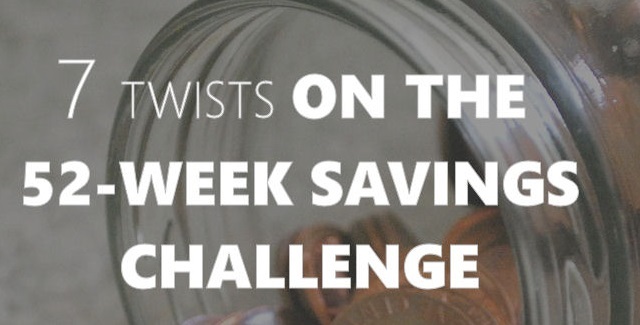 A bonus chapter on how to skyrocket your freelance blogging pay as a content strategist. 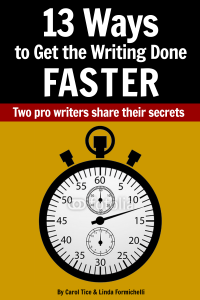 While you are purchasing How to be a Well-Paid Freelance Blogger for just $9.99 you should think about getting – 13 Ways to Get the Writing Done Faster too, which is co-wrtten by Carol and Renegade Writer Linda Formichelli. Yay! We all could use help to write faster, right? I know I’m getting extra excited over this, but I am that excited! I read these books and I’m already changing out how I do things on my blogs. Click to buy How to Be a Well-Paid Freelance Blogger and you will get ZIP file with all three popular formats — PDF, ePub and Mobi. Note: Even if you miss the deadline, you still should consider buying this ebook-who wouldn’t want to get paid for what they are worth blogging? How do you get paid blogging posts? This post contains affiliate links-I only promote products that I use myself and feel the best fit for my readers. I make some money on my blog, but it’s not necessarily the purpose of my blog, so what I do make is a bonus. I wrote a post last month about Reasons Why to Accept Sponsored Posts on your blog – so important! Thanks for sharing the ebook! Yes, great writing is the key to making the most money. This sounds like an excellent resource for all bloggers. I would love to read this because I am always looking for the best ways to monetize my blog without the ads. I could really use those thirteen ways to get the writing done faster! I’m sooo slow at writing my blog reviews, etc. I will definitely check this out! Thanks so much! I pinned this and will have to come back to it later…. I am always interesting in learning… I am a VERY new blogger so learning is KEY for me right now. This looks like a great resource for new bloggers who are looking to monetize. Lots of great information! Interesting book! I might look into it. I agree making money with ads is very difficult if you don’t get a large number of hits. This sounds like a great ebook that I would check out. I am trying to make more money via my blog. Thanks so much for sharing info about this eBook–will definitely look into this. I get some sponsored posts and have a few ads running but definitely not enough to quit the day job Sounds like a great read! Love that there’s an action plan. That’ the most important step! $10 is a much better price. I like to learn on the job for the best results! Probably a good resource for a new blogger, appreciate the info! What a great resource, I bet this is full of great info – plus an action plan? Awesome! It would be nice to make a little money from blogging. Your are correct when you said the side bar adds make a little money. Pennies a day would be about right. What a very helpful and great post! I would love that. I work so hard on this blog that I think getting paid would be a great next step! I need that book about how to get writing done faster! I get distracted and slow whenever I try to write. Thanks for the post! I’ve heard of Carol before and she is a very popular freelance writer. I know she just recently had a boot camp to help writers earn money. I’m sure her ebook is jam packed with helpful knowledge! Few people realize how really time consuming blogging can be. It is very nice to get paid for your literary contributions. I am game to read Ms Tice’s advice. Never stop learning, right? Good to know about this. Most of us do not make much money from blogging and it would be great to find out how to make more. These both look like amazing resources. I am currently blogging in exchange for free meals- and I would love to change that! Consider it bookmarked! I could use that one too! I feel like it takes me forever to get any writing done. You and me both! lol. I’m hoping to get the 48 posts a month out faster now. I love that you get free meals for blogging. I get free stuff, but I was ready to get paid too. It would be nice if more bloggers made what they are worth! She has some awesome programs and she knows her stuff! It is a great read-and a great price too! Heading over to check out the book now – thanks for sharing this resource! This is so true! I hate when businesses think we are only worth $5. What a great list! Being new to blogging, I had never even thought of half of those ideas! This looks like a great book with a fabulous action plan. I agree that the side bar ads are usually just pennies. Blogging is my full time job. Thank you for sharing a great resource for new and old bloggers. I look forward to checking it out. So far I’m pretty content with my little blog and making little to nothing on it. Perhaps when the kids are older and I’m not homeschooling I’ll devote more time to it and make money from it. I’ll have to save this to check out later! This sounds like a great book. I would love to make more money with my blog I just don’t have the time to focus on it like I would want to. Blogging is hard work. That’s great there is a book to show strategies to get paid. That would be nice. I would love to blog full time. I just did not know it was possible. Interesting book, I’ll have to check it out. I make some money from campaigns that I join and ambassadorships, but I don’t make anything really from advertisements, it seems like its just pennies a month. I would love to be a “well-paid” blogger! I need to get these tips! I’ll consider getting this book. I really want to start working on my blog and make some money on the side from it. I’m part of a few groups that offer decent paid campaigns. Lately I’m lucky to be chosen (my numbers aren’t insanely huge.) However, blogging isn’t my primary source of income, and I want it to remain fun and laid-back. So I try not to stress too much over it. This sounds like a great resource. Thanks for sharing. Wow it looks like everything is covered! This looks great! This is great info and I will be checking it out. That’s great that it has inspired you to make some changes to improve your income. I think we can all use some tips! Great books, thanks for sharing! I could definitely use the “How To Write Faster” book. What great resources! I am making a decent income right now but there is always room for improvement right? I will make a note of these for sure. I went ahead and got the book through your link. I figured it could be my birthday present to myself. For some reason, it didn’t say anything about the other book and I ordered it at 10:22 CST. It is funny, I spent so much time trying to make money and then one day got that ever so loved e-mail – you should post this article for free for my big client that has tons of money and when I responded no and with my fee I got a huge lecture on why I needed to post for free for the big guys because I was too small for them to pay me. I decided she was right and I started blogging for free all the time but the big guy is myself, lol. I will check this book out and see what I was missing at some point. This book sounds great. I think most of us blog for the joy we get from writing but making some extra money is an added bonus. Sounds like a great resource. I might have to check it out. Thanks for sharing. This sounds like something I would be interested in reading. This sounds like a great book for bloggers who are trying to learn more about monetizing. My site is a main source of income for me, so I am always looking at new ways to earn. Thanks so much for this information. I’ll have to check the book out. I’m a brand new blogger, and there is so much to learn, it’s kind of mind boggling. I definitely want to make money off of my blog, which I do – but making more is always nice. I might have to check this out. Sounds like it would be a great book to have if you blog or are thinking of blogging. Even if your main focus is not making money, it is still nice to have something to pay for your blogging costs. I currently earn through affiliates and Google Adsense. But this seems like a great resource for freelance bloggers! Love that you are sharing your knowledge! I’m part-time blogging since my littlest is still at home with me but love all the benefits including my salary but also other rewards like knowing I’m doing my best and having fun. what a great resource. i do some paid campaigns so the bonus money is nice, maybe i should take it to a new level. This is a nice share. I am in total awe of bloggers who make a living from it. Same for me. I am really slow at writing my posts! Got to speed up! I am one of those blogs that you speak of ads on the sides and I need to make more money. I am just at hitting my 1 yr mark and am still so clueless on making money. I need to get on the learning train! Such a like a great resource for new bloggers who are looking to monetize! Thanks for sharing! I do make a little bit of money from my blog, but it’s definitely not a full-time gig. It would be awesome if it were though! I’m not sure why I have ads on the sidebar of my site. I think to fill space more than anything. I’m certainly not expecting to earn a living from Google ads. Though eventually getting paid to write would be ideal. Thanks for the resource and for stopping by my blog via SITS. And BTW, most of my posts aren’t so depressing. Here’s one to cheer you up! Those sound like they might possibly be good resources for those starting out and wanting to learn more about monetizing. I could really use a course on how to get more minutes in an hour. That would help with the writing faster. What a great book. I do ok with blogging but I’d love those 150$ posts!! It’s nice of you to share this, in sure it’s very helpful for new bloggers who are interested in making money with there blog. Shared! thanks for sharing this resource! I’ve been doing a lot of research on monetizing my website. Thanks! These are great resources. I Love that I can make money doing what I love. Blogging is my business! If you work hard and put out quality work it will come. I think sometimes people forget that it also takes time! Brands aren’t solely paying you for your time, writing abilities and photography – they are paying you for the audience and community you have formed! So it’s important to be well rounded! I need to better manage my time. It’s so easy to get SQUIRREL! brained when you’re a blogger. So much to do, so little time. I think all bloggers consider ways to get paid for our posts and ideas. These books sound like very useful tools to educate us in that regard. Now this is such an interesting book, I’d love to read. I love making money with my blog but I think you also have to love what you’re blogging about otherwise it comes off fake. This sounds like a good book to start making some money though. Sounds like a great tool to increasing revenue from blogging. I’ll have to check it out. This definitely sounds like one to check out! Thank you for sharing. I’ve never really thought at first of making money through blogging. Maybe I should give a whack at it. Great resources. I think any blogger might as well try to make a little. Sounds like a great ebook! which may lead to your criminal justice. When i actually missed a lot of concern in these particular wow gold, after the retailer didn’t have the length and girth in any of the kinds usually appreciated the person which has been enabling me introduced these types of. I used it in for the fun of it again, and I solely dropped in love, they will looked amazing with me, and they also ended up being seriously very good! These are just the tools for youngsters and also grown persons. These are genuinely wonderful ideas in concernin blogging. Traybakes: Correct me if I’m wrong but I always considered a traybake to be quite biscuity, in line with this week’s theme. The bakers however all seemed to be making cakes. I just want to mention I’m very new to blogging and truly enjoyed your blog. Almost certainly I’m want to bookmark your blog post . You amazingly come with awesome articles. Kudos for revealing your website page. 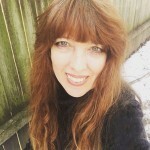 Do you have a spam issue on this blog; I also am a blogger, and I was curious about your situation; many of us have created some nice practices and we are looking to swap solutions with other folks, be sure to shoot me an email if interested. Great post. I was checking continuously this blog and I am impressed! Very useful information specially the last part I care for such info a lot. I was looking for this certain information for a long time. Thank you and good luck. Excellent post. I was checking continuously this blog and I am impressed! Very useful info specially the last part I care for such information a lot. I was looking for this certain info for a long time. Thank you and good luck. Great awesome issues here. I am very satisfied to look your article. Thanks a lot and i am taking a look forward to touch you. Will you please drop me a mail? Great ¡V I should definitely pronounce, impressed with your site. I had no trouble navigating through all tabs and related information ended up being truly simple to do to access. I recently found what I hoped for before you know it at all. Quite unusual. Is likely to appreciate it for those who add forums or anything, site theme . a tones way for your client to communicate. Excellent task..
What i do not realize is if truth be told how you are not actually much more neatly-preferred than you may be right now. You are so intelligent. You understand therefore considerably in terms of this matter, produced me in my opinion consider it from a lot of numerous angles. Its like women and men aren’t involved unless it¡¦s one thing to do with Lady gaga! Your individual stuffs outstanding. Always deal with it up! Excellent post. I was checking constantly this blog and I’m impressed! Very useful info specially the last part I care for such information much. I was seeking this particular info for a very long time. Thank you and best of luck. Nice post. I learn a thing tougher on numerous blogs daily. It will always be stimulating to read content material off their writers and practice a thing at their retailer. I’d would like to use some though applying content material on my own weblog no matter no matter whether you don’t thoughts. Natually I’ll present you a link in your own world-wide-web weblog. Thanks for sharing. Thank you, I’ve recently been looking for info approximately this topic for a long time and yours is the greatest I’ve found out till now. But, what in regards to the bottom line? Are you positive in regards to the supply? Just want to say your article is as amazing. The clarity in your post is just spectacular and i could assume you’re an expert on this subject. Well with your permission allow me to grab your feed to keep up to date with forthcoming post. Thanks a million and please carry on the gratifying work. Thank you for another informative blog. The place else may just I am getting that type of information written in such a perfect means? I’ve a project that I’m just now running on, and I’ve been on the glance out for such information. I have been browsing on-line more than 3 hours as of late, but I by no means discovered any fascinating article like yours. It¡¦s beautiful price sufficient for me. In my view, if all web owners and bloggers made good content as you probably did, the internet can be a lot more useful than ever before. Thank you for sharing superb informations. Your web-site is very cool. I’m impressed by the details that you have on this site. It reveals how nicely you understand this subject. Bookmarked this web page, will come back for extra articles. You, my friend, ROCK! I found just the info I already searched everywhere and simply could not come across. What a perfect web site. I would like to show thanks to this writer just for bailing me out of this trouble. Just after searching through the online world and seeing things which were not pleasant, I thought my entire life was over. Being alive without the presence of strategies to the issues you have solved by way of your good post is a crucial case, as well as the ones which may have adversely damaged my career if I hadn’t discovered your blog. Your personal expertise and kindness in dealing with a lot of stuff was valuable. I am not sure what I would’ve done if I hadn’t come across such a solution like this. I am able to now relish my future. Thanks for your time very much for this reliable and results-oriented guide. I won’t be reluctant to recommend your blog post to anybody who would like guidance on this topic. Great amazing things here. I¡¦m very satisfied to peer your post. Thank you so much and i am looking forward to contact you. Will you please drop me a mail? A lot of thanks for every one of your labor on this web page. My daughter takes pleasure in setting aside time for investigations and it’s really easy to see why. My partner and i hear all about the lively tactic you give informative steps by means of this blog and as well as foster participation from people on the area so our own daughter is truly starting to learn so much. Take advantage of the remaining portion of the new year. You are doing a brilliant job. magnificent publish, very informative. I ponder why the opposite experts of this sector don’t understand this. You should continue your writing. I’m sure, you’ve a great readers’ base already! Whats Taking place i’m new to this, I stumbled upon this I’ve found It absolutely helpful and it has aided me out loads. 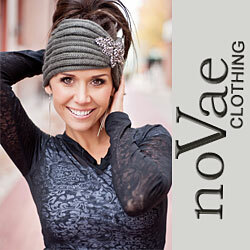 I’m hoping to give a contribution & help other customers like its aided me. Good job. Valuable information. Lucky me I discovered your web site unintentionally, and I’m stunned why this coincidence didn’t took place earlier! I bookmarked it. Just desire to say your article is as astonishing. The clarity in your post is simply excellent and i could assume you’re an expert on this subject. Well with your permission let me to grab your feed to keep up to date with forthcoming post. Thanks a million and please keep up the gratifying work. Thank you a lot for giving everyone an exceptionally brilliant possiblity to read critical reviews from this blog. It can be so awesome and also jam-packed with a lot of fun for me personally and my office peers to search your website more than thrice a week to find out the latest items you will have. And of course, I am actually contented with the astounding principles you serve. Some 3 ideas on this page are without a doubt the best I have ever had. You can certainly see your enthusiasm in the work you write. The world hopes for even more passionate writers like you who are not afraid to mention how they believe. Always go after your heart. excellent issues altogether, you simply received a new reader. What would you recommend about your put up that you made some days in the past? Any certain? wonderful put up, very informative. I wonder why the opposite experts of this sector don’t realize this. You must proceed your writing. I am confident, you’ve a huge readers’ base already! whoah this weblog is wonderful i love reading your articles. Keep up the good work! You understand, a lot of individuals are hunting around for this information, you could help them greatly. I have learn some good stuff here. Definitely price bookmarking for revisiting. I wonder how much effort you place to make such a wonderful informative web site. A lot of thanks for all your effort on this web page. My mum loves going through internet research and it is easy to see why. My partner and i hear all of the dynamic medium you create informative secrets through your blog and even recommend response from other ones on this issue so my child is undoubtedly discovering a lot. Have fun with the rest of the new year. Your carrying out a fabulous job. Thanks for another fantastic post. Where else may just anyone get that type of information in such a perfect means of writing? I’ve a presentation next week, and I’m at the look for such information. you’re really a good webmaster. The site loading velocity is amazing. It seems that you’re doing any unique trick. Furthermore, The contents are masterpiece. you have performed a great activity on this topic! An added important component is that if you are an older person, travel insurance pertaining to pensioners is something you ought to really think about. The more mature you are, the greater at risk you will be for allowing something undesirable happen to you while in another country. If you are definitely not covered by a number of comprehensive insurance cover, you could have many serious difficulties. Thanks for giving your hints on this blog. You will discover incredibly lots of details this way to take into consideration. That’s a wonderful denote bring up. I provide you with the thoughts above as general inspiration but clearly you will discover basically questions just like the one you talk about the location exactly where by far the most vital thing could be accomplishing work in honest fantastic faith. I don?t know if very best practices have emerged about points like that, but Extra than likely that your chosen job is clearly referred to as a reasonable game. Each little ones notice the impact of just a moment’s pleasure, for the rest of their lives. I have learn a few good stuff here. Definitely price bookmarking for revisiting. I wonder how so much attempt you put to create this sort of fantastic informative site. you’re really a just right webmaster. The website loading pace is incredible. It sort of feels that you are doing any distinctive trick. Furthermore, The contents are masterpiece. you have performed a fantastic task on this subject! It is in point of fact a great and helpful piece of info. I¡¦m happy that you simply shared this helpful info with us. Please keep us up to date like this. Thank you for sharing. Someone essentially help to make severely articles I might state. That is the very first time I frequented your web page and to this point? I surprised with the analysis you made to make this actual post extraordinary. Excellent process! It is truly a great and helpful piece of information. I am happy that you shared this helpful info with us. Please keep us informed like this. Thank you for sharing. I do believe all of the ideas you have introduced in your post. They’re very convincing and will definitely work. Nonetheless, the posts are too quick for starters. May you please extend them a little from subsequent time? Thank you for the post. naturally like your website however you need to check the spelling on several of your posts. Many of them are rife with spelling issues and I to find it very bothersome to inform the reality then again I¡¦ll definitely come again again. Hi there, I discovered your web site by the use of Google at the same time as searching for a similar topic, your website came up, it appears good. I have bookmarked it in my google bookmarks. Hello there, I discovered your site via Google even as searching for a similar subject, your site came up, it seems good. I have bookmarked it in my google bookmarks. Thanks for sharing superb informations. Your web-site is very cool. I am impressed by the details that you¡¦ve on this website. It reveals how nicely you perceive this subject. Bookmarked this web page, will come back for extra articles. You, my pal, ROCK! I found just the information I already searched all over the place and just could not come across. What a perfect web site. I needed to draft you the very small word in order to say thanks a lot over again over the remarkable principles you have shared in this case. It’s really open-handed with you to make publicly exactly what a lot of people would have sold as an e book to make some profit for their own end, mostly considering the fact that you could have done it in the event you considered necessary. The points additionally acted like a easy way to realize that other people online have the same passion much like my own to learn a whole lot more in regard to this problem. I’m certain there are numerous more enjoyable sessions in the future for individuals who looked over your website. Hello, Neat post. There’s an issue together with your site in web explorer, would check this¡K IE still is the market chief and a good component to people will pass over your magnificent writing because of this problem. I¡¦ve been exploring for a little for any high quality articles or weblog posts in this kind of space . Exploring in Yahoo I eventually stumbled upon this site. Studying this information So i¡¦m glad to convey that I have a very good uncanny feeling I found out exactly what I needed. I such a lot undoubtedly will make sure to do not omit this site and provides it a glance on a constant basis. wonderful submit, very informative. I ponder why the opposite experts of this sector do not understand this. You should continue your writing. I’m confident, you have a huge readers’ base already!